We love to share freebies with our players, so there are plenty of ways to collect Free Tickets every day! Visit the game every day and collect your Daily and 3-hour Bonuses! Every day, you can get freebies just by logging into the game. Be sure to hit the "Collect" button. 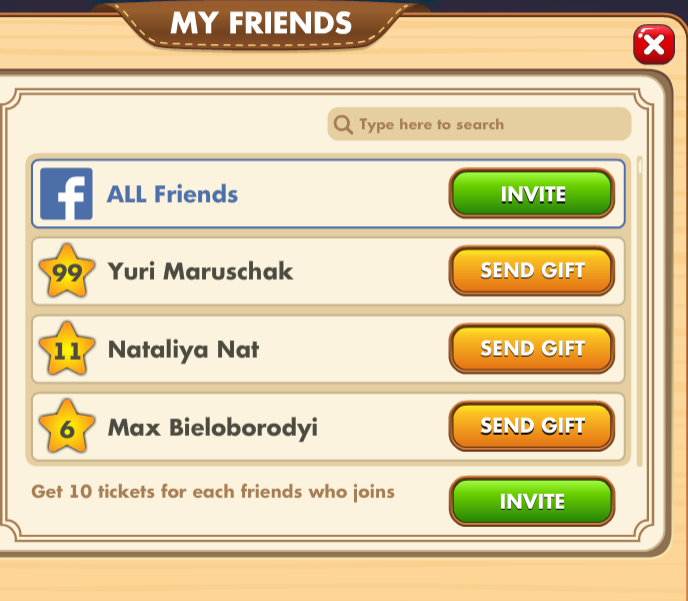 Invite friends to Bingo Country Days, and you could get 30 Free Tickets for each newly joined player when he/she reaches Level 3 and +1 Ticket to your Daily Bonuses. 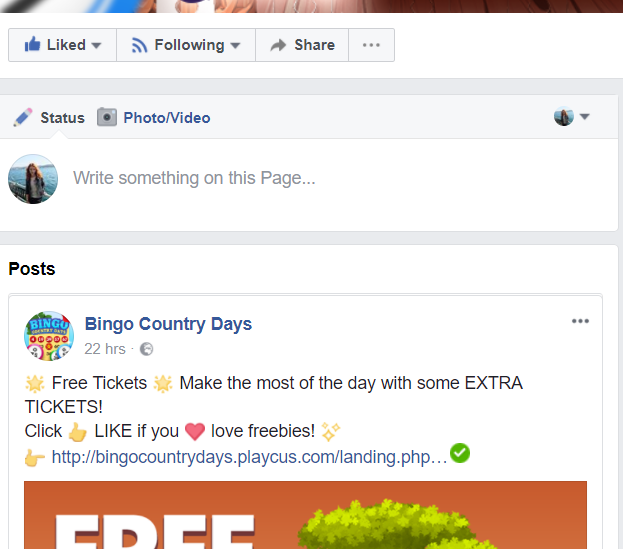 Like Bingo Country Days on Facebook for extra bonuses and giveaways! Our official Facebook fan page is a good friend to have indeed. In addition to keeping our players informed about the latest news, we frequently post promotional offers for freebies!